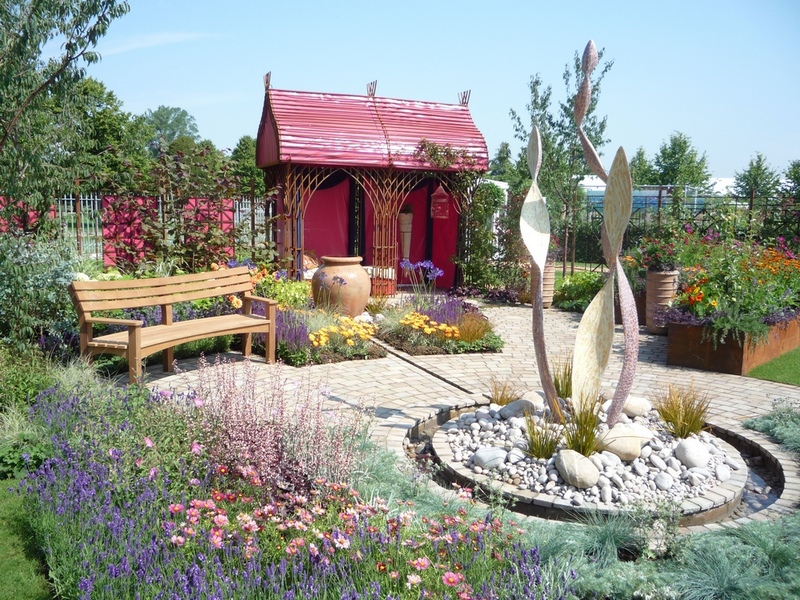 There have been quite a few first experiences for me this year after visiting The Royal Norfolk show and going to recordings of the new Channel 5 television programme Garden ER, all which have been great fun, so I expected nothing less at the Palace that King Henry VIII once lived. 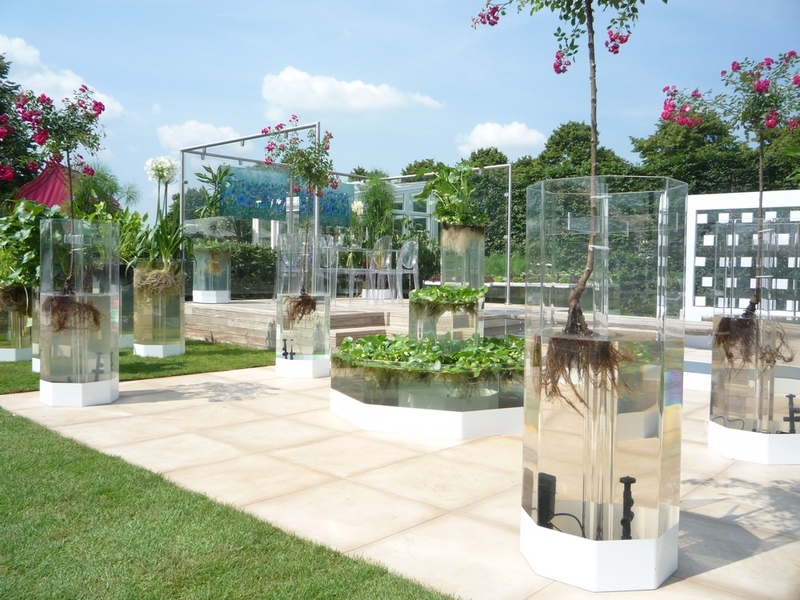 It was an early start for me as we wanted to beat the traffic on the M25 to get to the RHS Hampton Court for the 10am start, but an accident slowed us down preventing us seeing the unveiling of our very own Naked Garden sponsored by Anglian Home Improvements! Walking through the stunning grounds of the former King’s home was quite a spectacle, but on entry to the show I was about to be amazed even more. 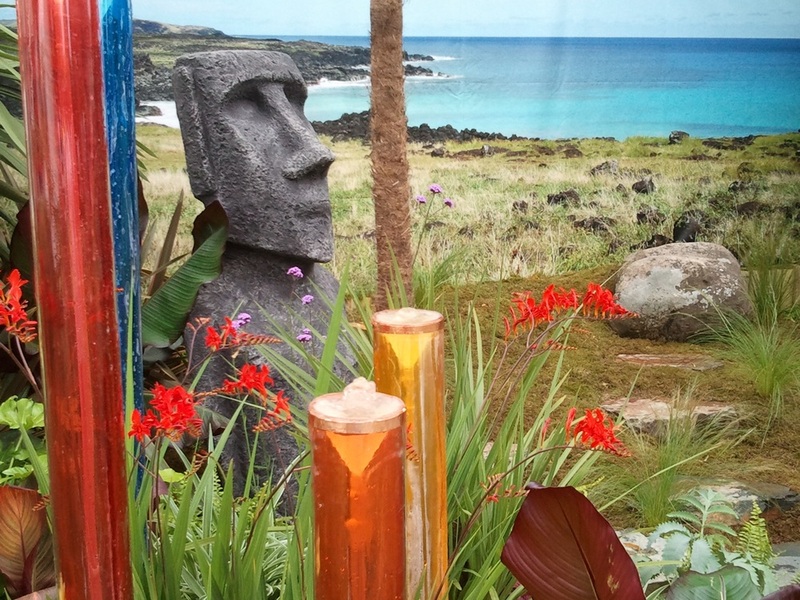 We had walked into a wonderland of colours, rockeries and water features, full of bright colours, mood lighting and unusual designs. 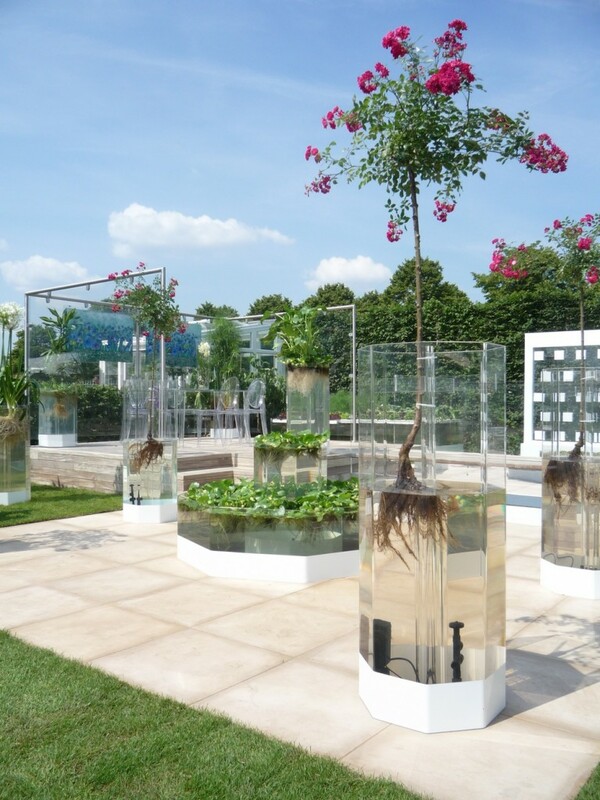 After walking passed some of the lovely displays of metallic spiders, Alice in Wonderland scarecrows and luxury garden huts we approached the Naked Garden, I had no preconceptions as to what the garden would look like, but what I saw was a glass paradise emphasising the bare roots of the plants creating strange and in some way mesmerising patterns. David is very passionate about gardening and I think his take on the Naked Garden has given a new way to show us what happens in areas we can’t normally see, under the soil. The roots came in different shapes, sizes and colours and I think were just as interesting as the flowers above water, creating a new angle to look at plants. 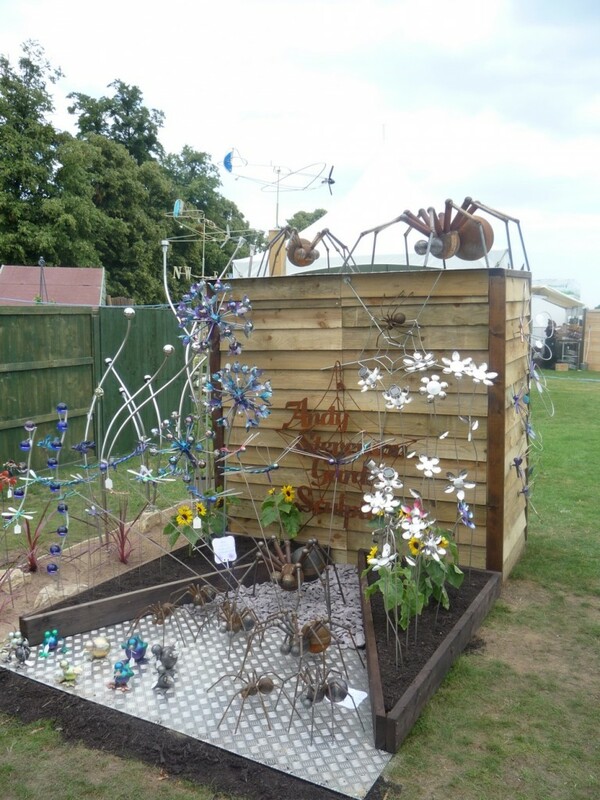 I also think it was quite an educational garden; there were many schools visiting and with children as young as 7 or 8 looking at the flowers, the Naked Garden definitely gave them a better insight into how the gorgeous flowers above ground are formed. 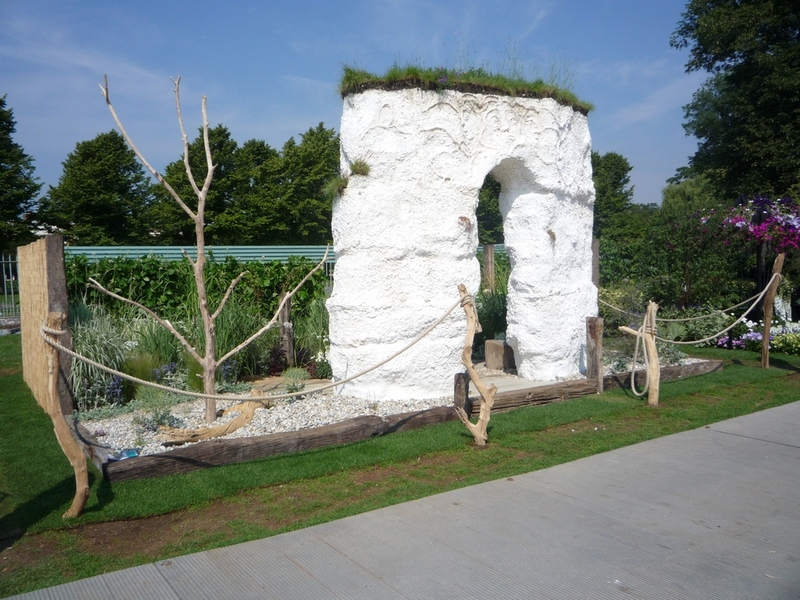 The Naked Garden was one of the show gardens and was competing against some top quality gardens. Pinks and purples appeared to be this year’s colours with a lot of plants, walls and features being bright and vibrant shades of the colours. 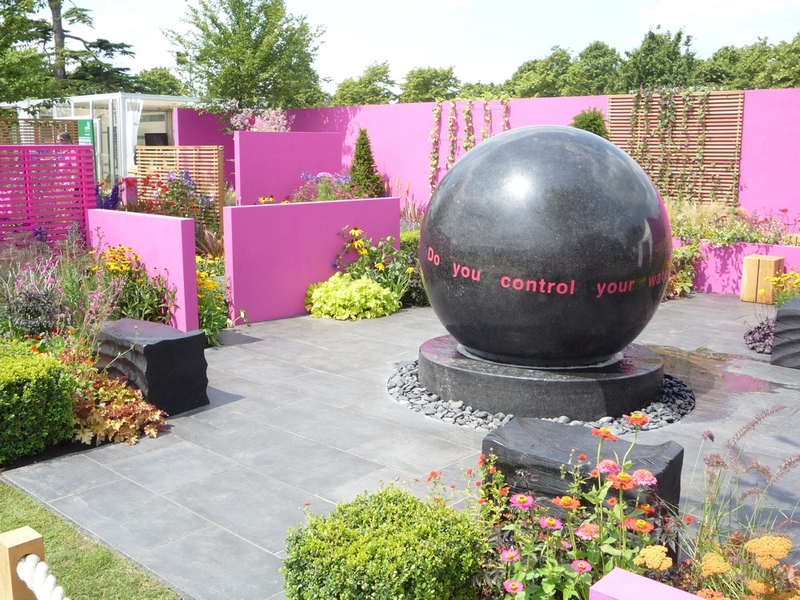 One garden that appealed to me was a hot pink one which was like a giant water feature, themed around saving water. Sounds ironic, but I found it interesting and unusual, with giant pink taps running and a giant black globe spinning on water, it made for peculiar viewing. 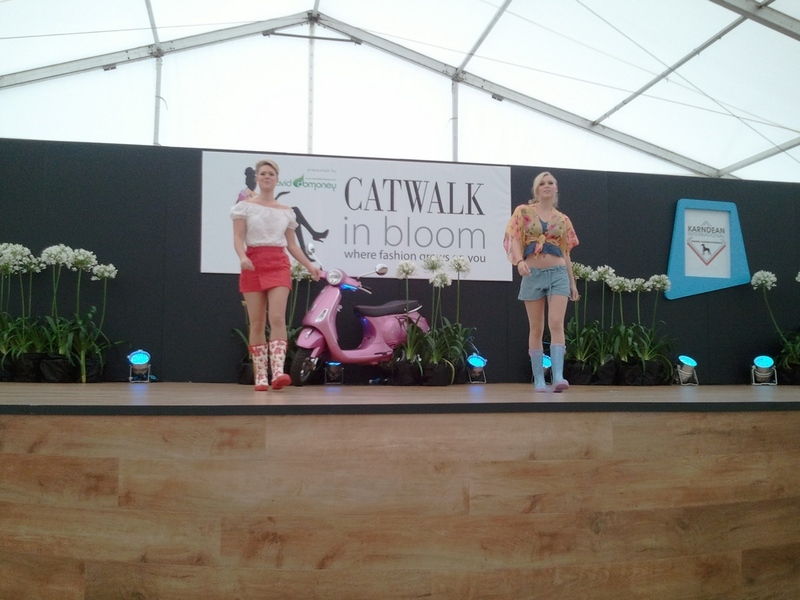 However, the flower show this year was not all about flowers, there was a fashion show too! It was a sixties orientated show and the outfits fitted that era perfectly, with the models setting each scene in fun and quirky ways. 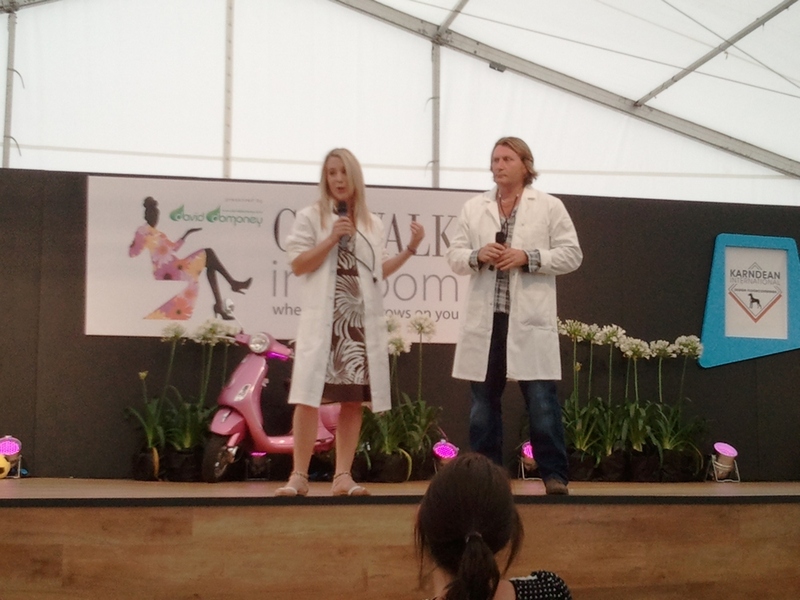 After the fashion show, David Domoney came out to announce the much awaited press launch of Garden ER, which went down a storm with the enthusiastic crowd. I for one cannot wait to not just see the reactions of the participants of the show, but also the faces of the audiences at home. 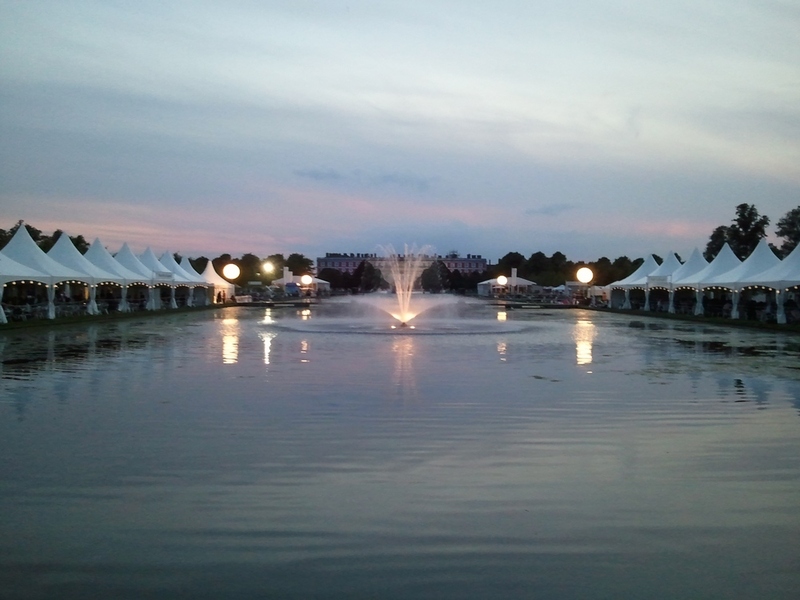 After a quick freshen up in the hotel, we came back for the opening evening of Hampton Court and if I could recommend one thing about this show, it would be to go on the opening evening! 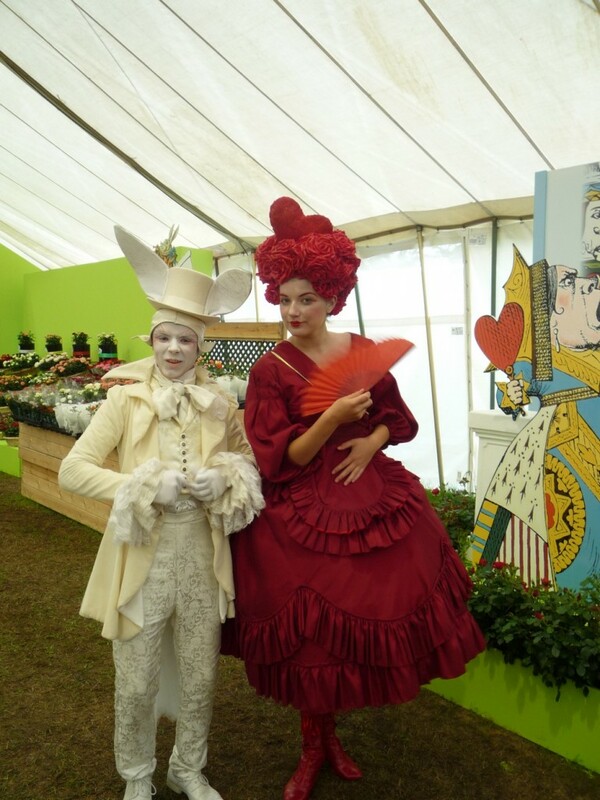 The gardens look so much more mystical and enthralling, creating a truly brilliant spectacle, and throwing you into a lavish wonderland, complete with its own Mad Hatter and Queen of Hearts. My favourite part of the evening was The Garden by Night which I felt put you in the mysterious depths of the forest in a Harry Potter movie, only without the unicorn obviously. The shadows created were inspiring yet edgy; it formed an atmosphere that was both beautiful but in some way sinister making me anxious to get out, but my eyes could not be drawn away. 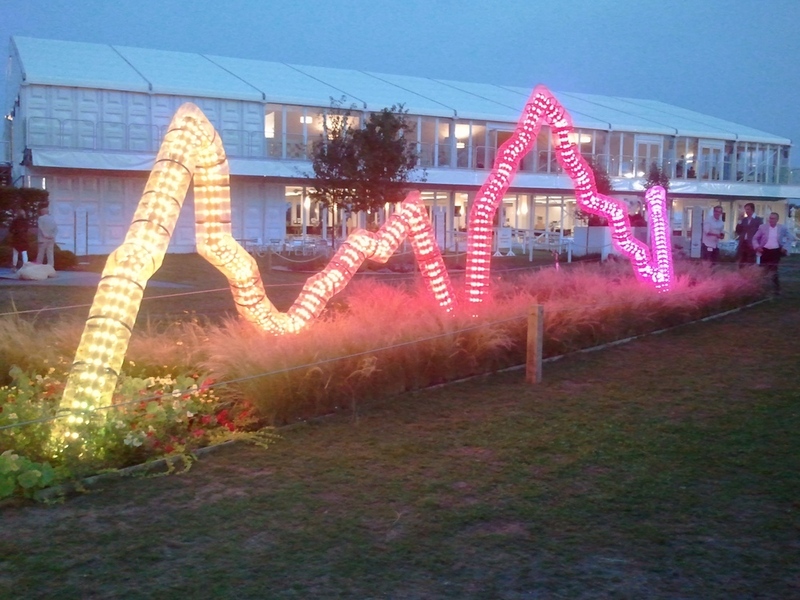 It was proving to be a tiring day for me after a 5am start, the sun beating down on us and the masses of walking, but after a brilliantly timed fireworks display I could finally hit the sack after a superb day in the prestigious gardening world.